Just around the corner from my house is a Tender Centre and I have to admit, this place is one of my favourite places to find furniture. There is always something different - and something I would love to give a makeover... If you've never been to one, or been a little scared to give it a try (I'm yet to bid at an auction cause it scares me to death!!) I promise it's actually really easy. 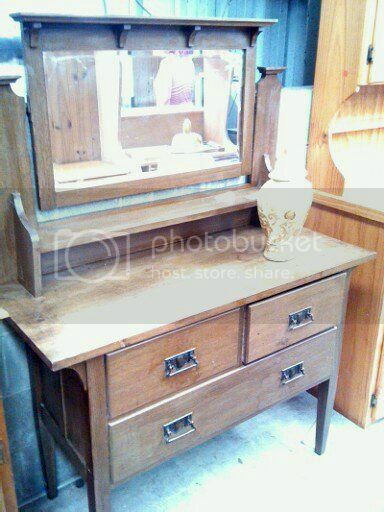 I love this piece and I think it would look lovely in a hall, kitchen or dining room. One drawer was a little sticky (you can see it sitting a little open where I'd been fiddling with it) but it could be easily fixed. I can just imagine it in a beautiful blue with a natural top. If only I hadn't promised no more buys in January!! At my tender centre it's a silent auction; most things have a reserve (though I always look out for the things with no reserve because I can get them CHEAP) and you work up from there. You bid what you're prepared to pay for it, but knowing that you might miss out if someone else comes along and bids more. The table above is beautiful, but the reserve was over $100. Sometimes things are way over priced, so I just have to love them and leave them. Items usually have a four week turn around, so you often find those pieces that are really over priced are still there are the four weeks, with reduced reserves. It often pays to be patient! 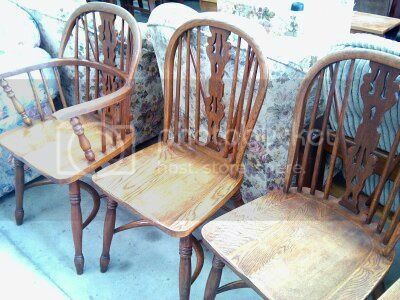 There's also often loads of odds and ends at the Tender Centre - I loved these chairs, and their were four of them, but only one with arm rests. Seemed a little odd to me :) Or they'll be a dining table with only three chairs. It really is luck on the day. I've visited and been spoilt for choice on some weekends, and others have been disappointed. I guess just like op shopping, the discovery is half the fun! 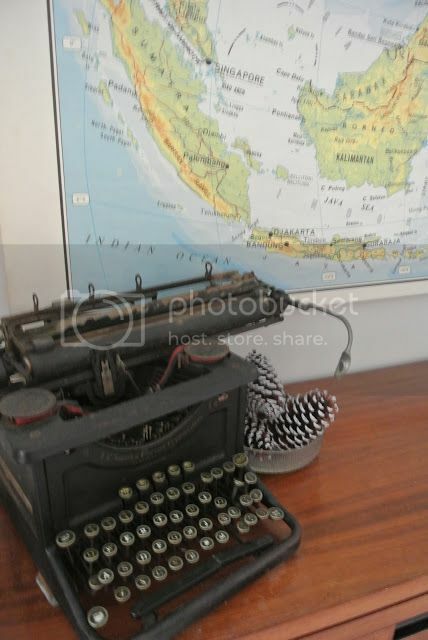 My best ever find was this gorgeous typewriter. I've had offers, but there is no way I'm letting this girl go! The reserve was $20, and I got her for $25. I KNOW. Ridiculously good! So what about you - do you have a tender centre near you? Or an auction house? And more importantly - are they any good??? I admit to being a little scared of my local tender centre...but you know what now im going to give it a shot....I usually drive straight past. Next time I`m going in!..... (my other half will not thank you!!). We used to have a tender centre here years ago but it closed down, mind you I don't remember seeing any good stuff like that, just junk really! Never heard of a tender centre...must be a north oz thing:) wish we had them in Victoria, sounds so cool!! You are super lucky to have a store like that so close to you. Awesome stuff! 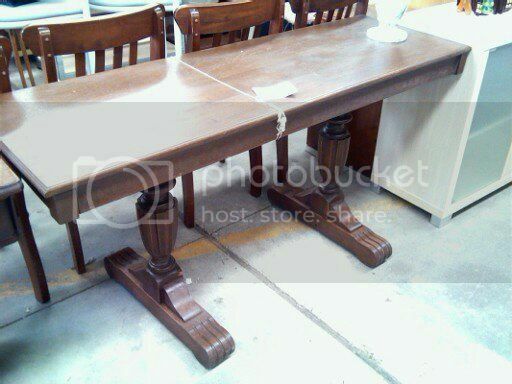 That table for $100 would be over $200 at our Salvation Army - they are nuts sometimes with their pricing. I think some of the pricers at my local thrift stores think they are running a fancy antique market when often the pieces are not antiques at all or from a big box store.